Lebanese paper claims US delegation met in secret with Syrian leaders, offered withdrawal in exchange for Iranian pullback from border. A report released Tuesday by an Arab media outlet claims that the US offered to withdraw all American forces from Syria, while permitting Iran’s Quds Force to remain in the country, an arrangement Israel has warned would lead to continued conflict in the region. On Tuesday, the Lebanon-based Al-Akhbar newspaper published a report claiming that the US had conducted a sub rosa meeting this June in Damascus with senior representatives of the Assad regime. During the four-hour meeting, the report claims, the US delegation offered a full withdrawal of all American forces currently deployed to Syria, while permitting Iran to retain a presence in the war-ravaged country. The US currently has 2,000 soldiers in Syria, working primarily in eastern Syria as advisors in the campaign to defeat ISIS. In exchange for the withdrawal, the US demanded that Iran, which has deployed thousands of soldiers from its Quds Force to Syria, pullback all of its military assets from southern Syria. Syria would also be required to provided written assurances the US oil companies would be included in the development of Syrian oil resources in the east of the country. Thirdly, the US delegation asked the Assad regime provide US security agencies with a comprehensive data set on all terror groups operating in Syria, as well as a registry of foreign fighters. 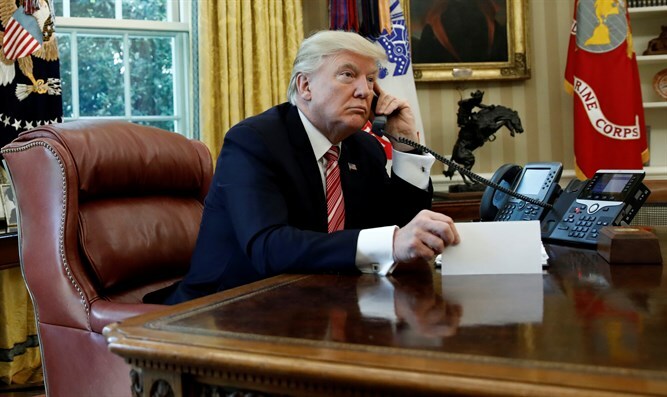 According to the Al-Akhbar report, Syria rejected the proposal, and called on the US to unilaterally withdraw from the country, calling the American presence there an unauthorized ‘occupation’. There has been no official US confirmation regarding the report, which seems to contradict reports by senior US officials that the Trump White House is pushing for the total withdrawal of Iranian forces from Syria. “The objective of the United States… is to get Iran, Iranian forces, Iranian militias, Iranian surrogates out of the offensive operations they’re in in both Syria and Iraq, and, frankly, to end Iran’s support for Hezbollah,” National Security Advisor John Bolton said earlier this month. The total removal of all Iranian forces from Syria has long been a key demand of Israel, which views the presence of Revolutionary Guards forces on Syrian territory as a serious security threat.